Now that the frost has taken the tenders and the potatoes are 80% dug, my energy is turning from the veggie plot to the landscape. The overgrown state of the flower beds is a little depressing, so I’m focusing on trees. The apples we tried to root from cuttings mostly died; the sole survivor (a Norland) went in the ground this weekend. The dying poplars we removed a few weeks ago (and by ‘we’ I mean my arborist sister and her co-tree-lady; I held onto a rope) are slowly being chipped, chopped, spread and stacked. The Amur maple is all red happiness. But I’m super excited about this little guy here. 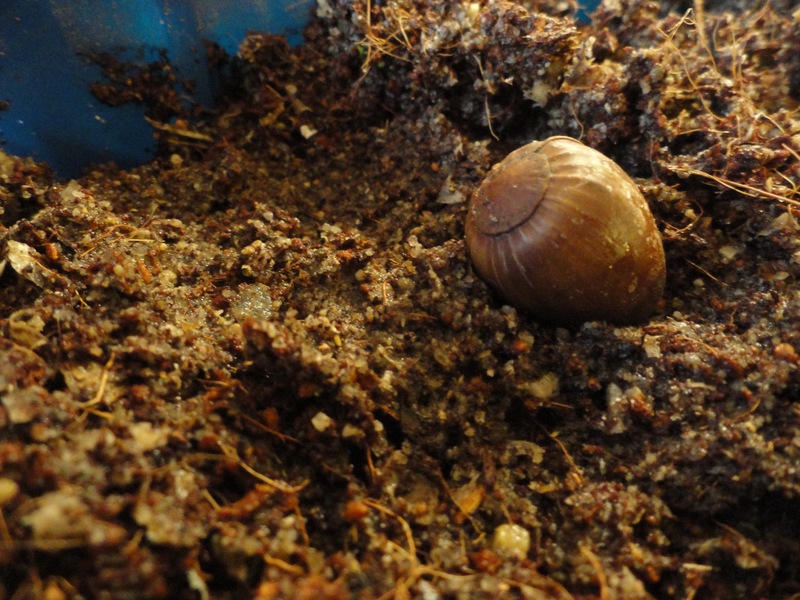 One viable acorn all ready for stratification. I was hanging out with some friends at a music festival two Saturdays ago. We were sitting on the grass under an oak, and my friend’s little girl noticed little acorns dotting the grass. Being of that age and inclination, she began to collect them. There were a few that still had their caps, so I was able to guess they were bur oak (the caps have little curly ‘burs’ on them), one of the few oaks that will grow in Southern Alberta. She amassed a pretty good collection while we sat there, and at the end of the night I convinced her to let me take a few of them and see if I could get them to grow. She obliged, and I put them in my purse and promptly forgot about them. The reason I considered even attempting to grow an oak from seed is this book that I stumbled upon in the library: Growing Trees from Seed: A practical guide to growing native trees, vines, and shrubs, by late University of Guelph hoticulturist Henry Kock. It’s fascinating and exhaustive for the Great Lakes Region, fascinating and useful for me on the prairies. I’d been browsing through it for a few weeks, and had then forgotten about it (I do a lot of forgetting) until yesterday, when I noticed it’s due back on Friday. Which reminded me of the acorns in my purse. I fished them out and tried the sink test first: good acorns will sink in a glass of water. Only one sank. The rest were dried out, nibbled on, or otherwise compromised. Kock recommends breaking open a few to check for color, and even the tiny embryo, indicating good seed. But I was down to one possibly viable acorn, which had already probably started drying out while being dragged about by me to school and the supermarket. So I did what any sensible optimist would: soaked it for 8 hours in a glass of water and got a bed of sand and coir ready for it. I have very helpful children. I have to repeat myself a lot, and we have our share of messes, but they are really quite good about pitching in. Which is why I had to rescue this little acorn from the bottom of a murky sink of dishwater after someone cleared its glass of water from the table. That poor little possible tree in a hull must feel like Moses in his basket, journeying from grassy music-filled air to child’s hand, transported kilometres in bottomless handbag, only to be dumped into a water glass and fished out of a soapy sink. I could almost hear it sighing with relief along with me as I placed it in its pot of damp medium, where it will live while it thinks about sprouting. There’s a kind of reverence as I think about this little seed. A kind of hope. Fall has always been my favourite season. I love spring for its vibrance and promises, but there is something pleasing and pleasant in the going to sleep that fall is, the smell of dust and leaves and melancholy, the urge to cuddle up. Maybe it is the coming of the quiet that I enjoy, the whispers. Or maybe it is the hope in things like tree seeds and apple cuttings, the belief that despite all the decay and goodbyes, there will be more to come. Fall holds its own promises. Tags: seasons, seed starting, seeds, trees. Bookmark the permalink.